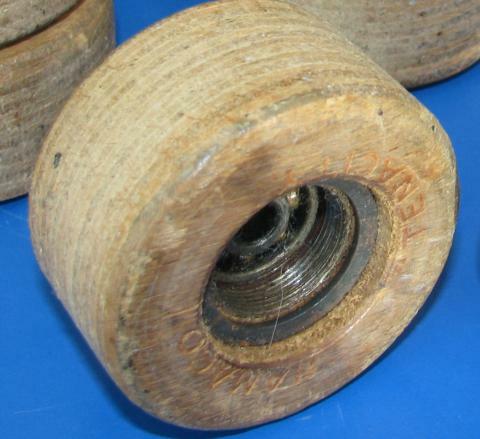 Prior to the introduction of plastic compound wheels, during the 1960s, roller skate wheels were mainly made of wood - usually laminated, like plywood, for strength. 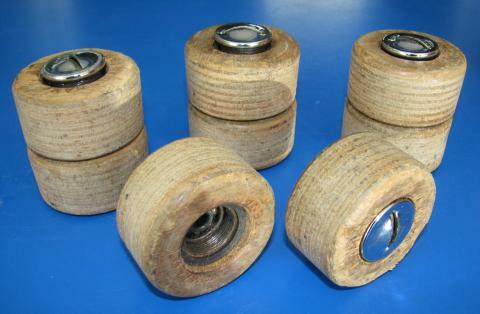 They were best used on wooden floors, where they did gain a fair grip (if not as good as current wheels). Winifred Hopwood brought in a set of her old wooden wheels for us to see, and a couple of photos are included here to remind us all of "the way we were".